To make AI systems broadly useful for challenging real-world tasks, we need them to learn complex human goals and preferences. One approach to specifying complex goals asks humans to judge during training which agent behaviors are safe and useful, but this approach can fail if the task is too complicated for a human to directly judge. To help address this concern, we propose training agents via self play on a zero sum debate game. Given a question or proposed action, two agents take turns making short statements up to a limit, then a human judges which of the agents gave the most true, useful information. In an analogy to complexity theory, debate with optimal play can answer any question in PSPACE given polynomial time judges (direct judging answers only NP questions). In practice, whether debate works involves empirical questions about humans and the tasks we want AIs to perform, plus theoretical questions about the meaning of AI alignment. 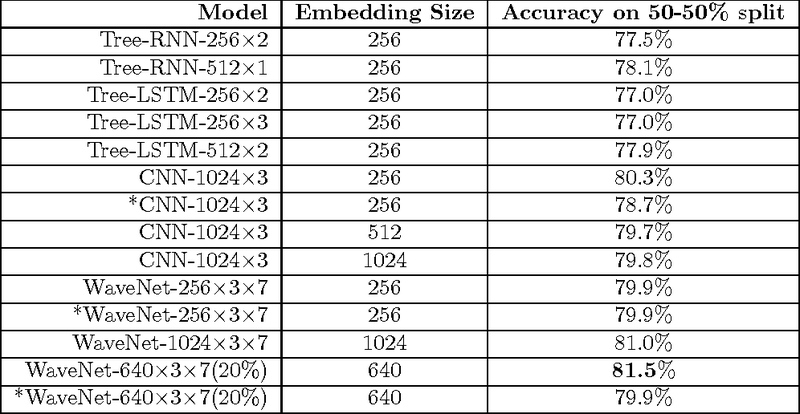 We report results on an initial MNIST experiment where agents compete to convince a sparse classifier, boosting the classifier's accuracy from 59.4% to 88.9% given 6 pixels and from 48.2% to 85.2% given 4 pixels. Finally, we discuss theoretical and practical aspects of the debate model, focusing on potential weaknesses as the model scales up, and we propose future human and computer experiments to test these properties. Deep learning techniques lie at the heart of several significant AI advances in recent years including object recognition and detection, image captioning, machine translation, speech recognition and synthesis, and playing the game of Go. 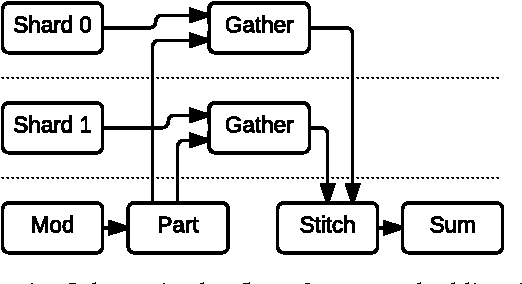 Automated first-order theorem provers can aid in the formalization and verification of mathematical theorems and play a crucial role in program analysis, theory reasoning, security, interpolation, and system verification. Here we suggest deep learning based guidance in the proof search of the theorem prover E. We train and compare several deep neural network models on the traces of existing ATP proofs of Mizar statements and use them to select processed clauses during proof search. We give experimental evidence that with a hybrid, two-phase approach, deep learning based guidance can significantly reduce the average number of proof search steps while increasing the number of theorems proved. Using a few proof guidance strategies that leverage deep neural networks, we have found first-order proofs of 7.36% of the first-order logic translations of the Mizar Mathematical Library theorems that did not previously have ATP generated proofs. This increases the ratio of statements in the corpus with ATP generated proofs from 56% to 59%. 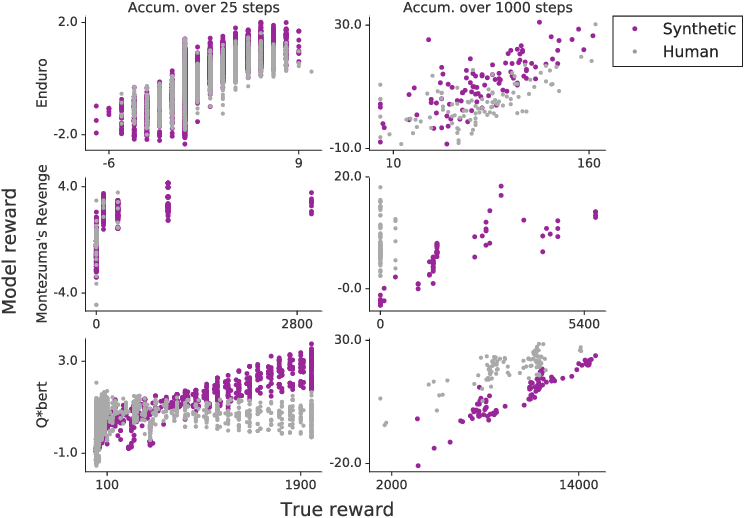 To solve complex real-world problems with reinforcement learning, we cannot rely on manually specified reward functions. Instead, we can have humans communicate an objective to the agent directly. In this work, we combine two approaches to learning from human feedback: expert demonstrations and trajectory preferences. 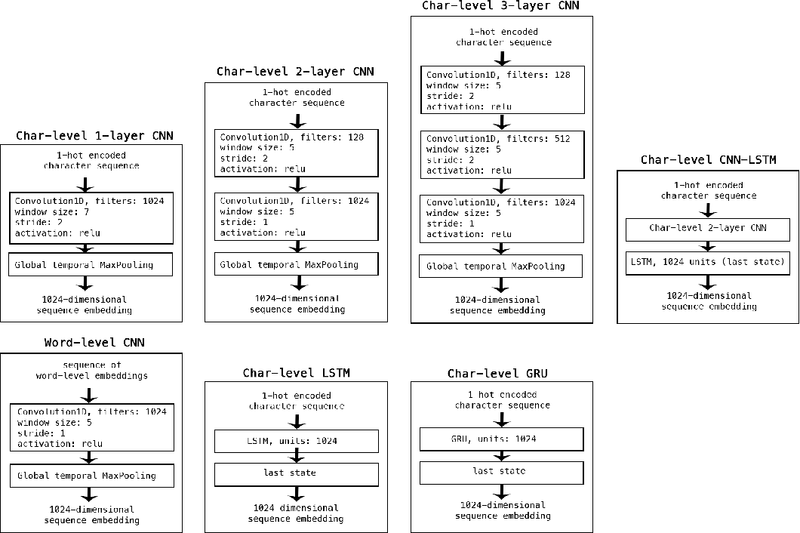 We train a deep neural network to model the reward function and use its predicted reward to train an DQN-based deep reinforcement learning agent on 9 Atari games. Our approach beats the imitation learning baseline in 7 games and achieves strictly superhuman performance on 2 games without using game rewards. 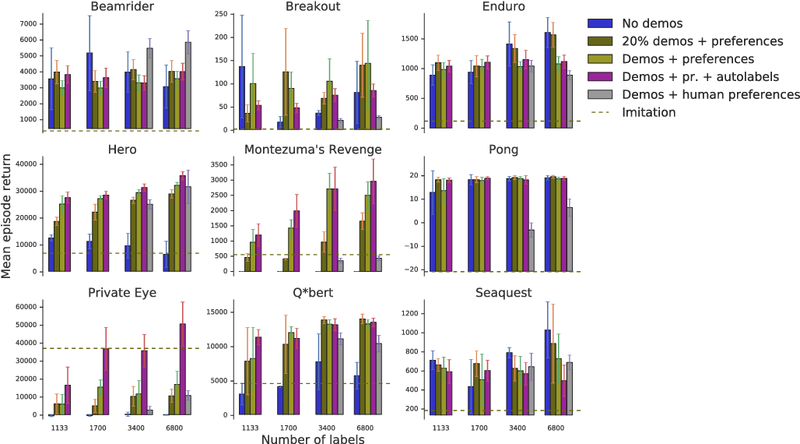 Additionally, we investigate the goodness of fit of the reward model, present some reward hacking problems, and study the effects of noise in the human labels. 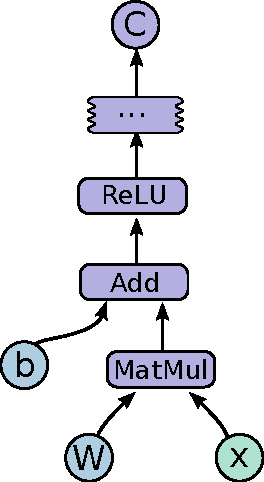 We study the effectiveness of neural sequence models for premise selection in automated theorem proving, one of the main bottlenecks in the formalization of mathematics. We propose a two stage approach for this task that yields good results for the premise selection task on the Mizar corpus while avoiding the hand-engineered features of existing state-of-the-art models. To our knowledge, this is the first time deep learning has been applied to theorem proving on a large scale.